Open Photoshop; then open any image to create snow effect. Create a new layer (Layer -> New -> Layer or Shift+Ctrl+N). Fill with black color (Edit -> Fill -> Black or Shift+F5). 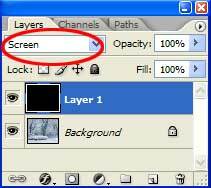 Set layer mode to Screen. Apply Filter – > Blur – > Gaussian Blur with radius 0,6 pixels. Правду говоришь автор. Хорошо работаешь пером. Ждем следующих постов. Пиши чаще. I just tried out your tutorial. I am a little unclear with after step 4. I assume “screen” is suppose to make the snow show up but mine didn’t do that. 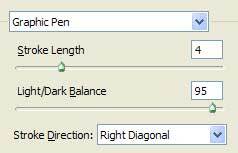 No, snow shows up after using Graphic Pen in step 3. А что Вы скажете, если я возьму на себя смелость предположить, что все Ваши посты, не более чем выдумка автора? A realistic bit of photo retouching in this easy to follow tutorial. excellent … simple and effective … love it!!!! Thank you!!!! 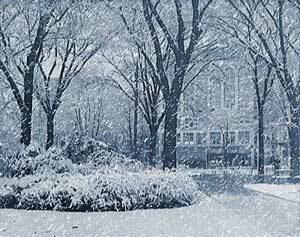 You do need to apply it to a small image otherwise the snowflakes appear far too small. Can’t make it work. God dammit!